We are a centre of excellence in exploring and communicating the impacts of Derbyshire's heritage, from the local to the global. We bring together research staff and students in English, History, American Studies and Journalism as well as other colleagues outside the College of Arts, Humanities and Education. Our interdisciplinary research explores representations of identity and culture through and across history and literature. We have particular strengths in the themes of 18th-century heritage, literature and society, and in cultures of writing, reading and publishing. Our work illuminates and challenges cultural values and social assumptions within civil society to benefit local, national and international communities and organisations and to influence public policy. We are proud of our connections to the cultural landscapes, industry and heritage of Derby and Derbyshire. 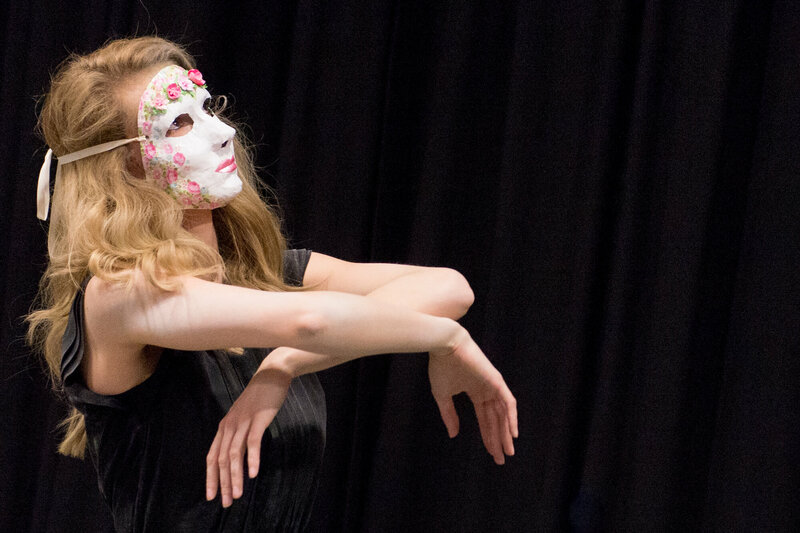 Staff represent the University across a range of external platforms, including the boards of Derby Theatre, the Derwent Valley Mills World Heritage Site Research Steering Group, and Derby Museums Trust. Through these links, work across this research centre has informed the preservation, restoration and management of public green spaces, increased engagement with museum collections, and received local, regional and national media coverage. If you are interested in working on a research degree within the School of Humanities and Journalism, please contact Professor Paul Elliott at p.elliott@derby.ac.uk. You can also contact the Research Student Office with general application queries at pgrstudentoffice@derby.ac.uk. If you are interested in using our research expertise in an external project, please contact our Research Impact Officer Victoria Barker by emailing v.barker@derby.ac.uk. Between 2014 and 2016 we co-directed the Arts and Humanities Research Council (AHRC) Centre for Hidden Histories of the First World War, a collaborative community research project. The Centre aimed to develop community projects focused upon alternative histories of World War One, its commemoration and memorialisation. 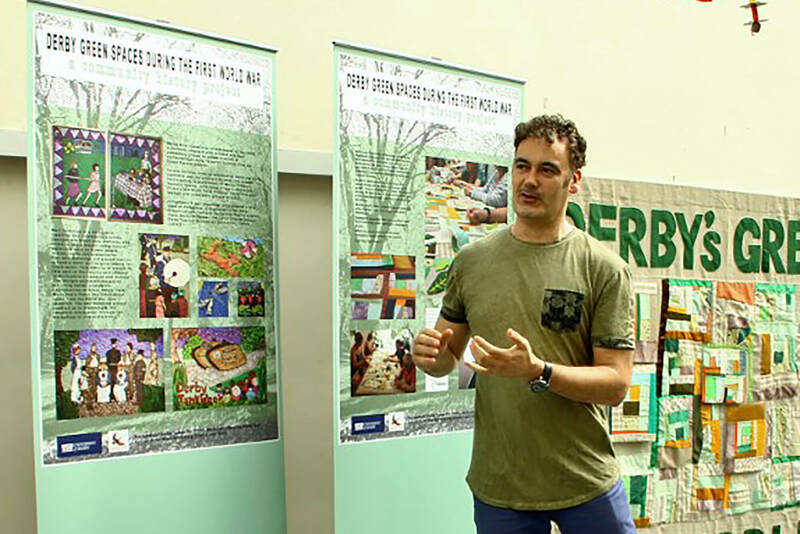 The Centre supported the Derby First World War Green Spaces community history project, which worked with local groups to present research results in artistically striking ways. 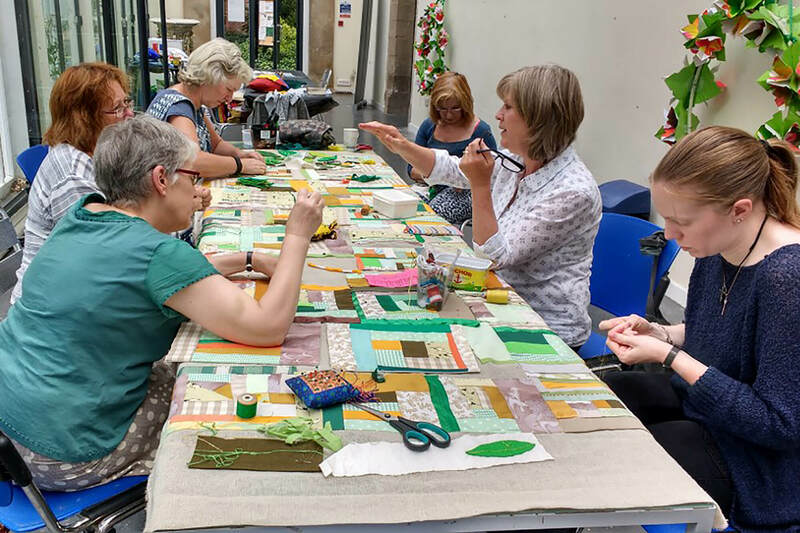 This included textile projects, exhibitions and World War One-themed well dressings - an art form unique to Derbyshire. The project was delivered by lead academic Professor Paul Elliott working with Derby-based community arts collective Spiral Arts, doctoral researcher Mark Knight and a group of volunteers including members of GoldsQUAD, a group that aims to improve the happiness and well-being of those aged over 50 through increased participation in the arts. We have also engaged with local government and community history groups to share research into the cultural, historical and scientific significance of green spaces outside academia. This work included an AHRC-funded collaborative project on arboreta and a study of urban trees. Tree collections were idealised as microcosms of nature, miniature encapsulations of the globe and as living museums. This research into arboricultural history has also had an important international dimension, comparing the development of British and Irish arboretums and tree planting with that in Europe, the USA and other countries. The results of the arboretum project also informed the 2014 National Review of Research Priorities for Urban Parks, Designed Landscapes and Open Spaces report produced by Katy Layton Jones for English Heritage.